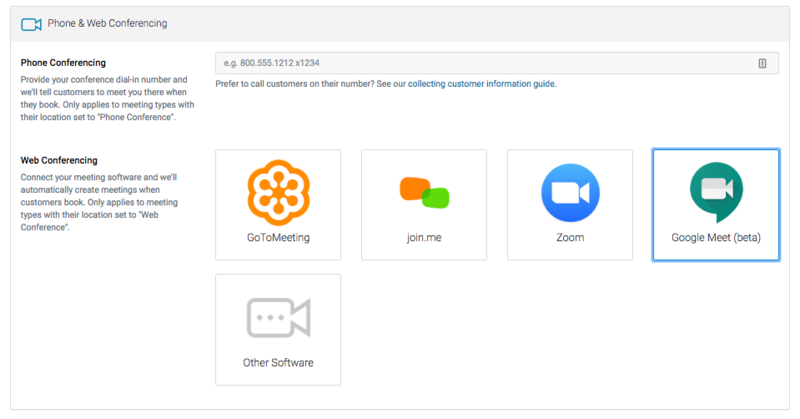 To connect your account with Google Meet, navigate to your bookable member's page and scroll down to the Phone & Web Conferencing section. 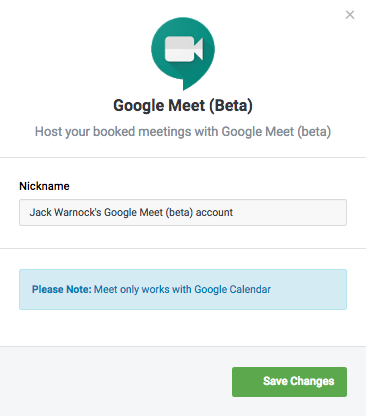 Click the Save Changes button to finish connecting your account to Google Meet. When this modal screen closes, be sure to also save changes to the Member account (green button in the upper right hand corner of the screen).